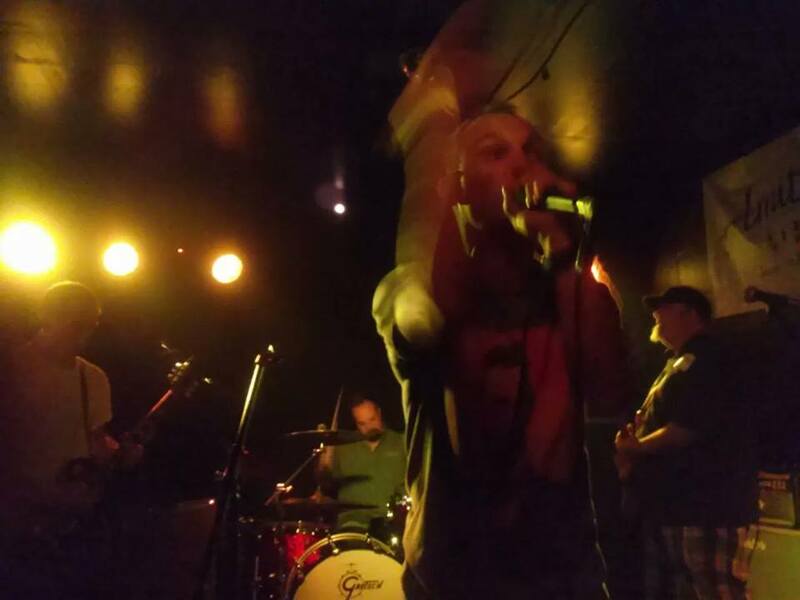 Long Island heavy rockers John Wilkes Booth will mark their first decade together next year. 10 years. The band — who, if you’re wondering, took on what I think even they’d tell you (perhaps while smirking) is a lousy name in order to capture something universally hated — made their full-length debut in 2008 with Sic Semper Tyrannis (review here) following a split with 12 Eyes and my former band, Maegashira, and a 2006 self-titled EP, and five years later, they answer their long-player with the eight-track/34-minute sophomore outing, Useless Lucy, which both beefs up the production overall and delves into darker noise rock terrain on cuts like “From the North” and “Masturbation Song” while tapping various veins of ’90s alt rock in “Six One” and the later “Ladder and Vacuum,” at least before the latter switches to its crunching hook, Tool-style bleaker prog riffing from guitarist Jason Beickert winding out a resonant chorus that consumes much of the three-minute song’s second half, vocalist Kerry Merkle recounting an everyman tale of woe overtop, somewhat ironically (and again, perhaps smirkingly) following the parental love-letter “Soaking the Perimeter.” The Booth have always had something of a progressive drive, musically and vocally, and Merkle does well in changing his approach here from gutting out the start-stop chorus in “Masturbation Song” and the verses in “13 Years” to more cleanly riding the funk-rock push of “Ladder and Vacuum,” bassist Harry Vrooman and drummer Christian Horstmann stepping up the bounce there where in the midsection of closer “Family Crest” they smoothly hold together a post-bridge jam as Beickert embellishes an exploratory-sounding lead. 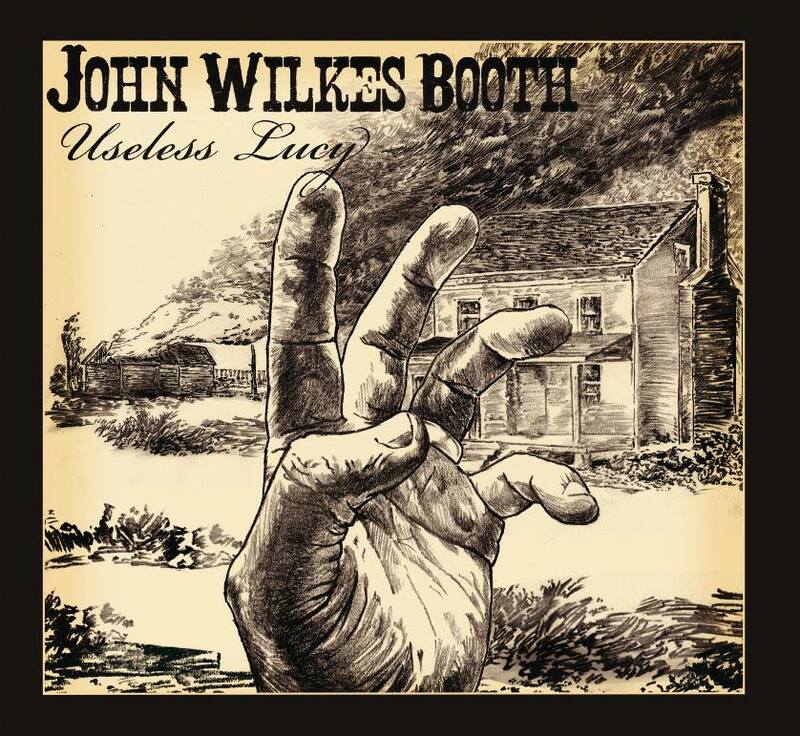 To make a prior allusion explicit, I’ve known the John Wilkes Booth guys for years, played shows with them, collaborated on releases, and so on, so I’m not about to claim a measure of impartiality when it comes to appreciating what they do. They are one of those bands. Nestled into their geography out on Long Island, separate from the entirety of the country with the morass of New York traffic between, they rarely get out, have never toured for any length of time, but have continued to hone their craft at familiar local spots, have kept a consistent lineup because they must genuinely enjoy each other’s company, and have put together a solid album of new material written not with the rush of an impending touring cycle, but with time taken to fully embrace the process of hammering out parts and making the songs sound the way they want them too. Would they be a bigger, more solidified unit if they’d hit the road six years ago and never looked back? Probably. Or they might’ve broken up. Who the hell knows? The point is that when it comes to Useless Lucy and the Booth in general, what you see is what you get. They might cop an experimental vibe here and there — with its slower progression and foreboding vibe, opener “From the North” is probably the farthest they veer from their more straightforward norm — but by and large they traffic in unpretentious heavy rock and roll, vibed out with various echoes in the guitar and vocals and made stronger by the chemistry of the rhythm section. They’re not looking to be a huge band or to “get a buzz going” in any other than the beery sense of the phrase. As I’ve always seen them, their motives are pure. They create because they feel joy in the expression. That’s kept them going for a decade so far. And somewhat more astoundingly, they do so without really ever pushing into self-indulgence. Even the penultimate “Intro 2 (Lick My Spacesuit),” which is essentially 90 seconds of an effects buildup leading the way into “Family Crest,” serves a purpose in adding to the atmosphere of the album overall and giving the listener a breather after “Ladder and Vacuum” and before the finale. Earlier, “Six One” showcases an airier sensibility than either of the opening duo in front of it, but neither that nor the rolling fuzz of “13 Years” which follows, fail to convey a well-developed songwriting process, and everywhere John Wilkes Booth go on Useless Lucy, that’s what remains most consistent. They’ll never be a big band — even the phrase “I like John Wilkes Booth” pushes the boundaries of taste; they prefer “F the Booth” as a slogan — and they’ll probably never quit their jobs and go on perma-tour, get big press and whatever else, but frankly, the fact that they’re going to do what they do regardless makes them all the more admirable in my eyes. There’s nothing insincere about Useless Lucy, or that feels cynical or like it’s just there because it’s what’s popular. It’s not what’s popular. If it was they’d sound like Graveyard or Uncle Acid. Instead, they sound like the Booth. It won’t turn heads, and the album’s not perfect by any stretch — Merkle‘s voice comes across high in the mix in places, and the recording is clean more à la modern rock than heavy rock — but it’s honest, and going into a band’s new record with the expectation of honesty is a rare and not-to-be-understated delight.